She Writes Press, 9781631522185, 256pp. On the joyful day of her son's birth, Thais Derich never questioned going to the hospital. A week later, she walked out physically, spiritually, and emotionally injured, and fully disabused of the idea that the medical field would ever put her best interests before protocol, money, and legal concerns. The next three years of her life were spent recovering from that day, and preparing herself to do things her way when she became pregnant again. And then she did get pregnant again--and that resolve was put to the test. 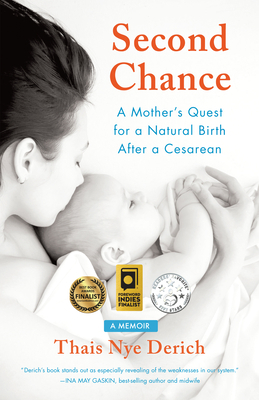 A universal story about betrayal and trust and the roller coaster ride in between, Second Chance illuminates the many ways in which our healthcare system is broken when it comes to helping women give birth, and gives a voice to all the mothers who have walked away from their delivery experiences wondering what the hell just happened.